Now that you have decided to "tie the knot", it is time to start looking at gemstones and engagement rings for your significant other. Remember, she has to wear your token of love and commitment every day, so make sure she absolutely loves it. If you've never been shopping for gemstones and engagement rings before, it's understandable that you are going to feel a little overwhelmed at first. Having been in the gemstone business for 20 years, Touchstone Gems can offer a bit of an introduction and some sound advice so that you know exactly what to look for. Engagement rings are a very important symbol of commitment, and perhaps she's been dreaming of receiving hers for a long time. With a bit of planning, you can surprise her with a ring and gemstone that will be exactly as she's always wished. 1. Keep an eye out for the obvious stuff like dropping hints. Make sure you notice how much she loves the look of her friend's new ring. Tune in and take notes, because in those few moments she may specify exactly what she likes, and what she'd prefer to be different in a ring of her own. If you miss a hint like that, then the next few steps are even more crucial. Take a look at the four styles below and decide which one resembles her closely. Click on the image to discover some information we have researched for you; such as whether she prefers a diamond solitaire ring, coloured gemstone eternity band, or how important the size of a diamond is to her. Maybe she'd prefer a collection of smaller jewels, or a more classic, even vintage look? 2. The next thing to consider is her preference for the jewelry she already owns. Does she prefer yellow or white gold, or does she lean more toward silver and ethnic materials? Are the designs of her current jewelry more modern, conservative, intricate or simple? Are there any items she never takes off, like a family heirloom or watch? A quick scan of her current jewelry collection can tell you a lot about her personal preferences. 3. Another key thing to be sure about is the correct size of her finger. This one can get a bit tricky, especially if you're trying to surprise her. To help you out, click here to download a printable ring sizer that will make it easier for you to choose the size that will fit her just right. 4. If you have decided on purchasing a diamond engagement ring, a bit of background on diamonds never hurt either. 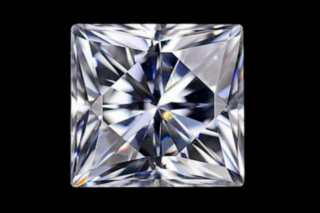 Click here for more information on the "Four C's" of diamond quality, to help prepare for the next step in your buying process. Nothing is more important to the brilliance and sparkle of any gemstone than its cut. A well cut diamond or coloured gemstone will reflect light from one facet to another and back through the top, creating a dramatic sparkling effect. 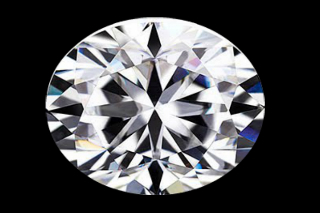 There are various coloured diamond choices available today, black diamonds are quite trendy at the moment. When it comes to the white ones, their quality is rated on scale from D-Z. A "D" is pure white, whereas a "Z" would be visibly yellow. Many coloured gemstones undergo heat treatment which is considered a natural type of enhancement to bring out the gemstone's colour. The clarity of a diamond refers to the number and nature of inclusions or blemishes that are visible when you view it under a microscope. Gemstone clarity refers to the internal and external flaws (inclusions) of a stone. A flawless coloured gemstone is a lot rarer than a flawless diamond. Although clarity is important, it is the location and type of inclusion which is crucial in coloured stones. 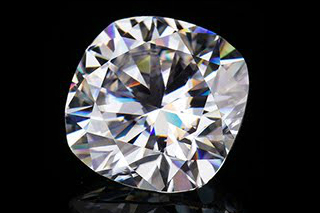 If the inclusion is small and positioned in a less noticeable area in the stone, then it will not affect the gem’s beauty or price as much as a prominent flaw such as a surface crack. 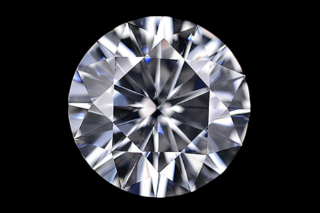 The last and most obvious characteristic of gemstones is that they are measured by Carat weight (abbreviated "ct.") e.g. 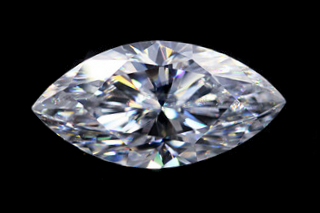 0.35 carat. 5. The last question that you'll face when it comes time to pick a ring will be "How much should I spend?" Many jewellery sellers will tell you that a certain number of months of salary is the standard, but at Touchstone Gems, we disagree. Instead, we tell our customers that your investment should be whatever you feel comfortable with, and whatever suits your budget. Remember, when researching the perfect ring for her, the best thing you can due is to pay attention to the hints she leaves, even if she's not meaning to. She might be obvious about it, and she might give you nothing at all to work with, so follow the guidelines above as closely as possible. And don't be afraid to ask us for help, or take the advise of friends, family and those close to her. You may be surprised at what she likes and dislikes.